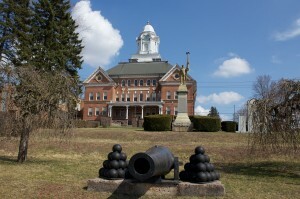 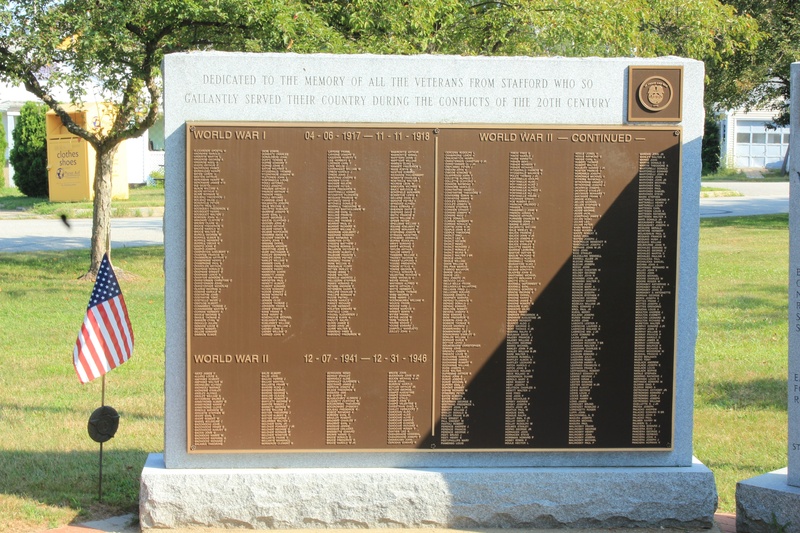 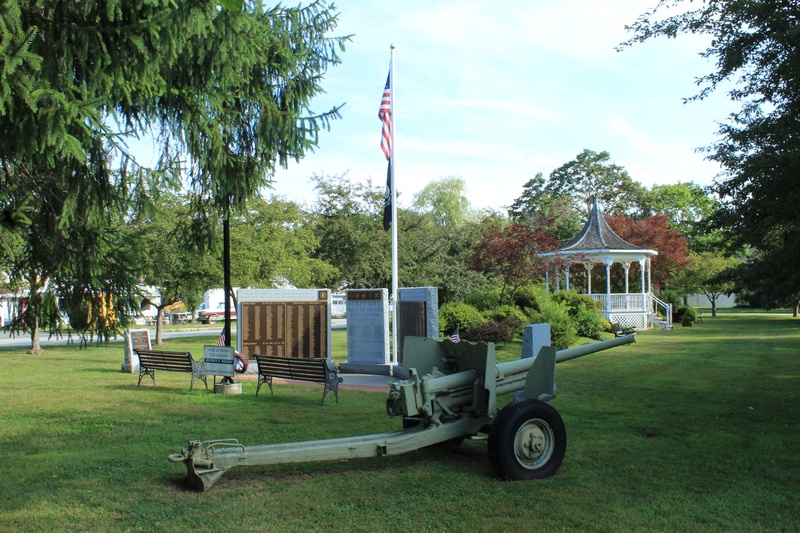 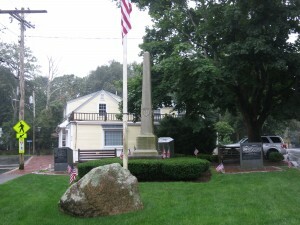 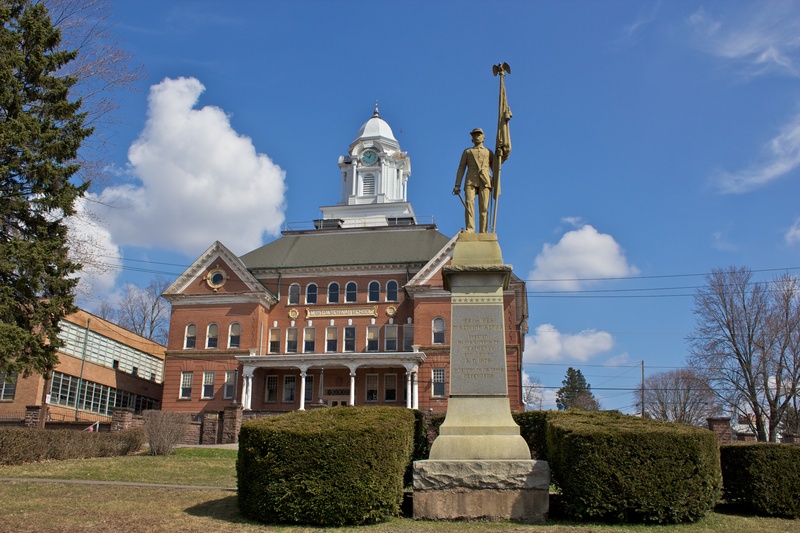 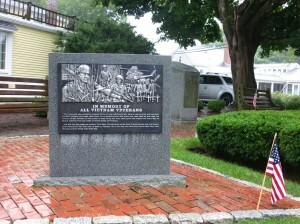 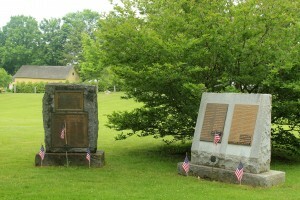 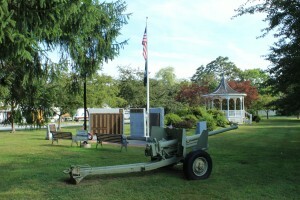 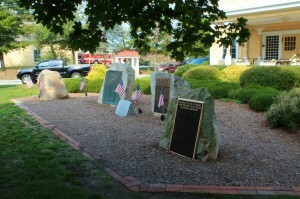 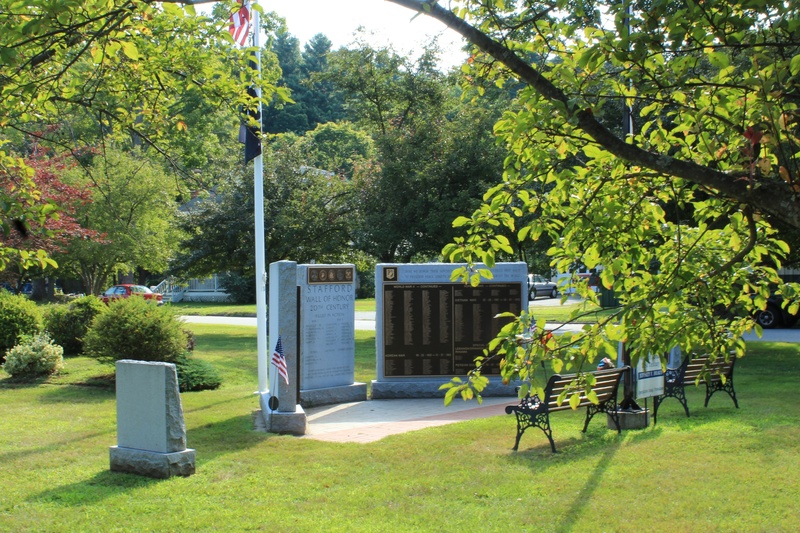 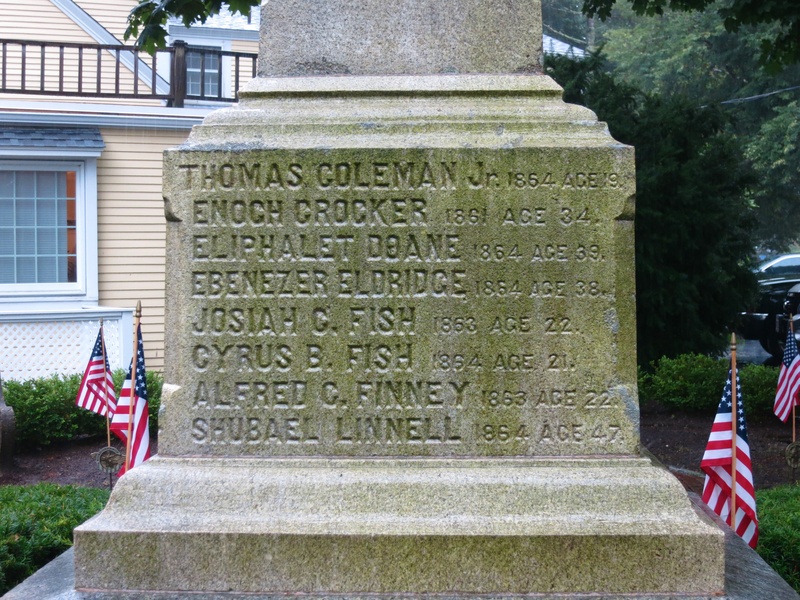 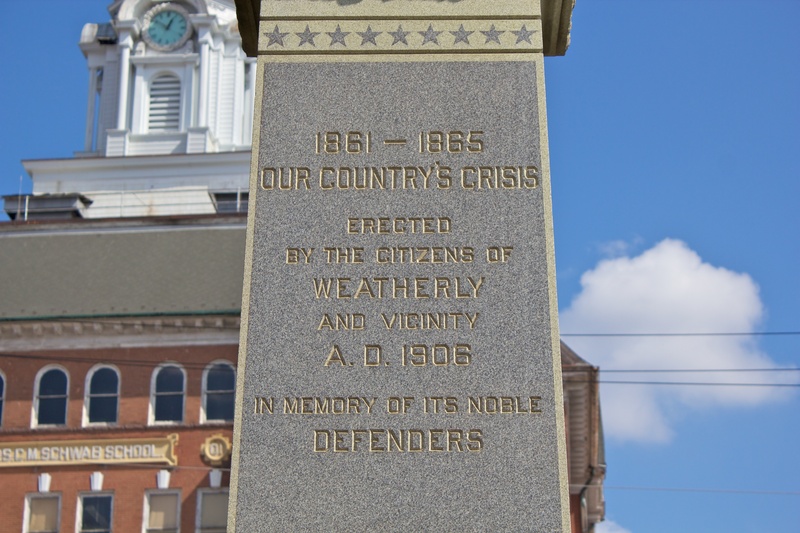 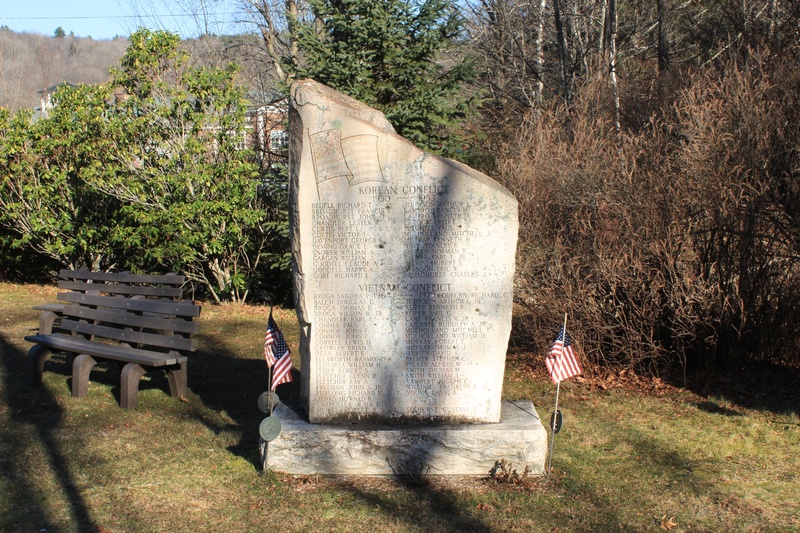 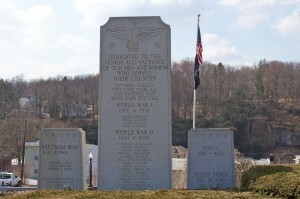 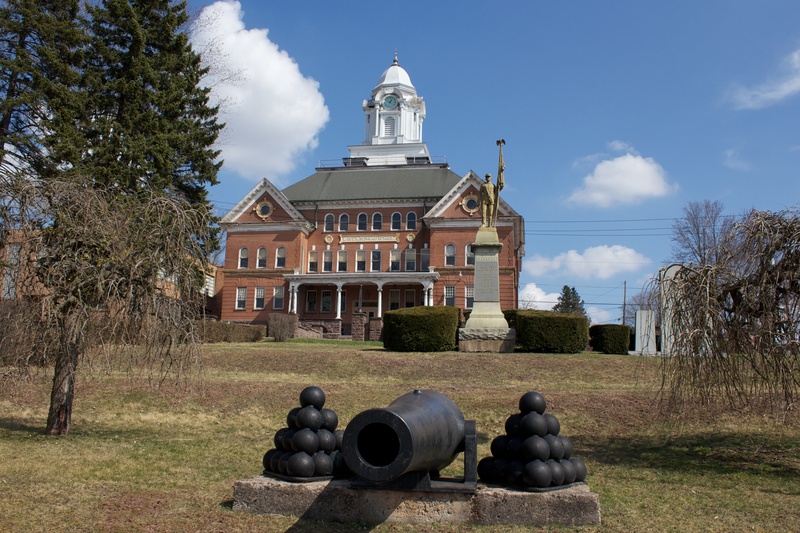 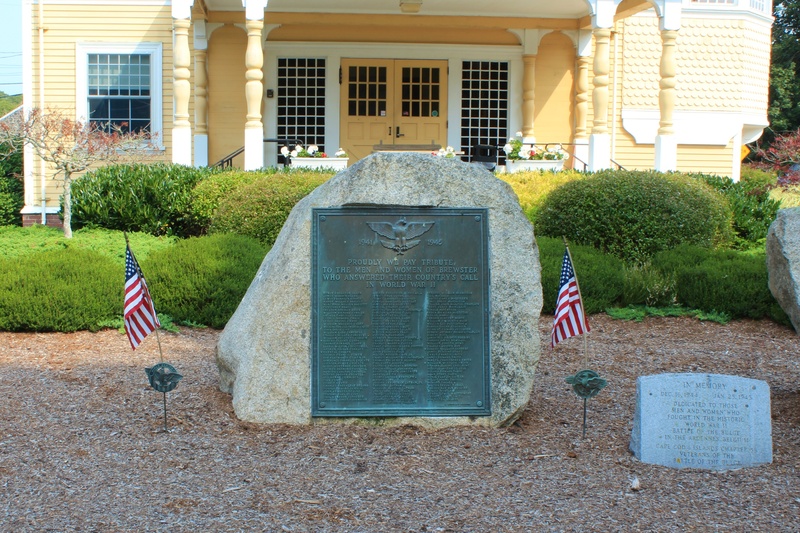 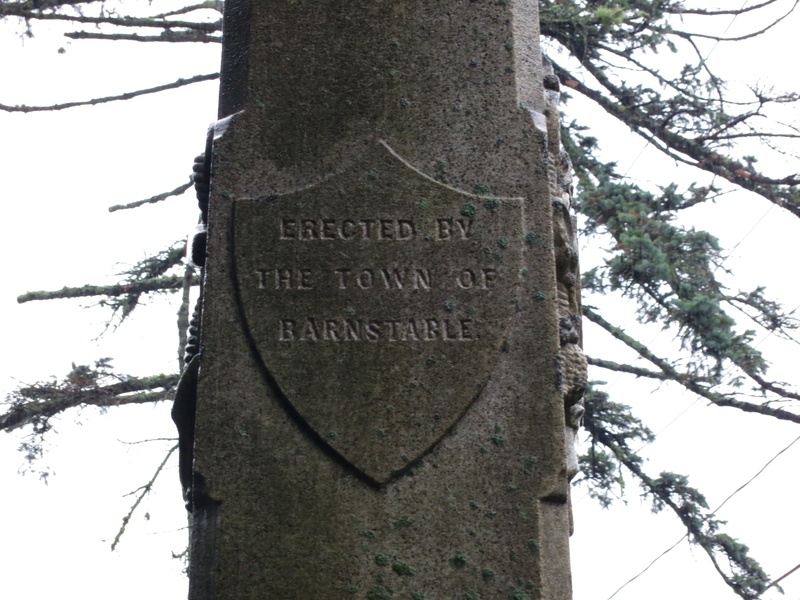 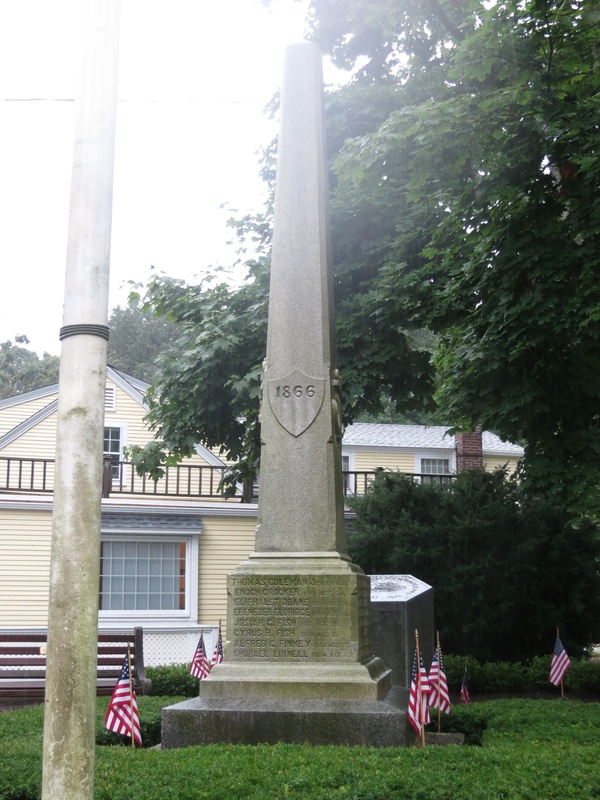 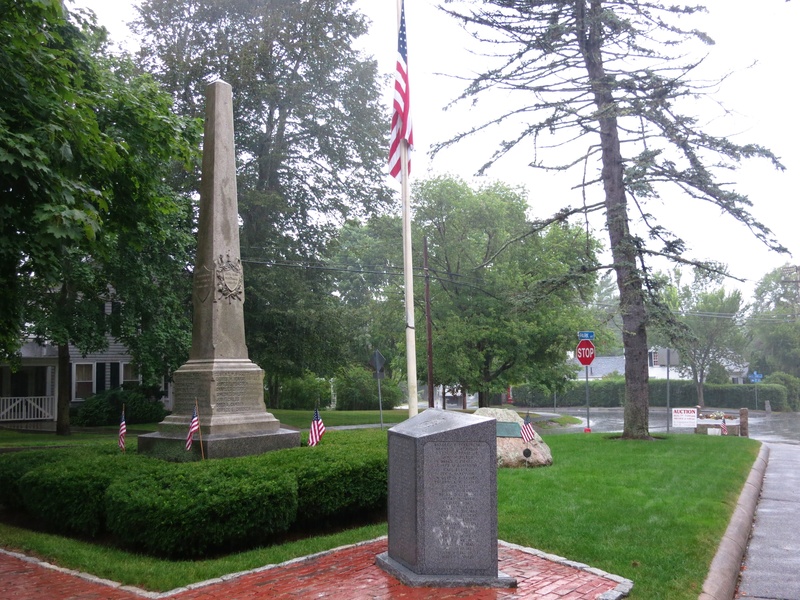 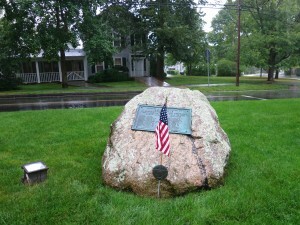 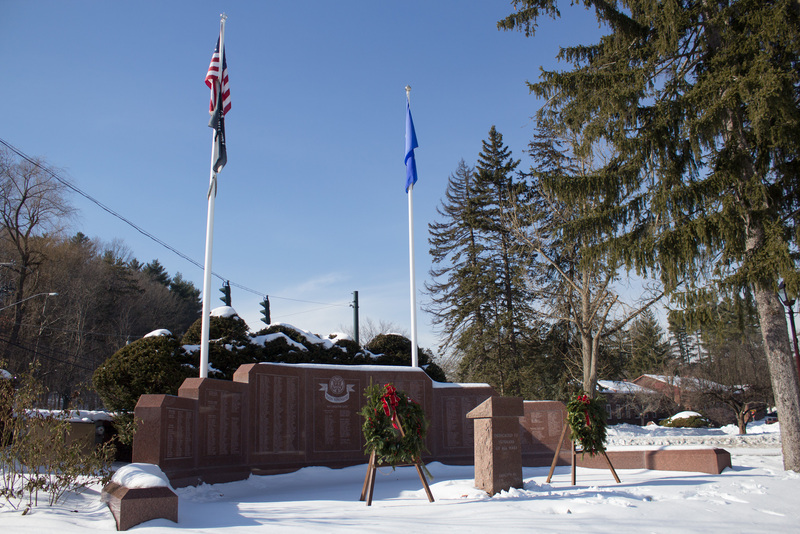 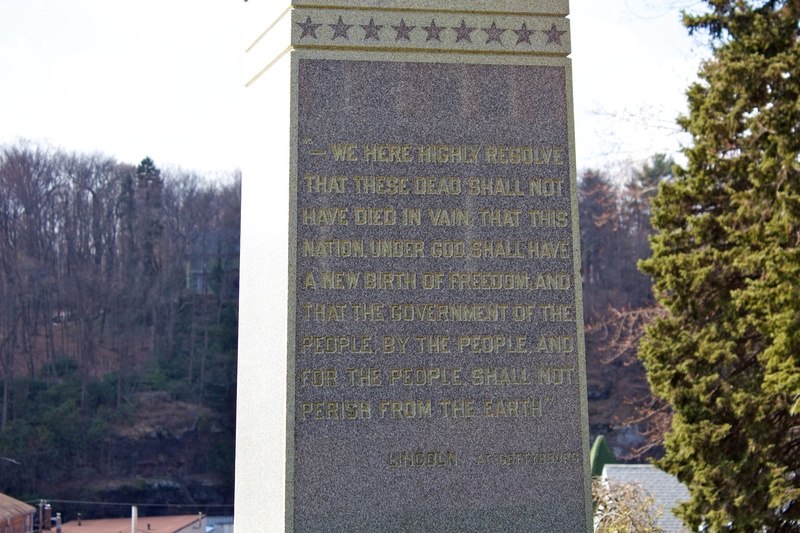 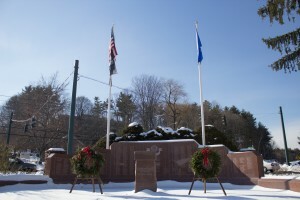 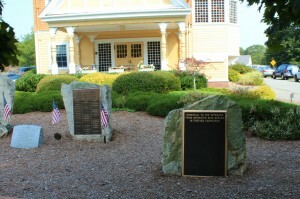 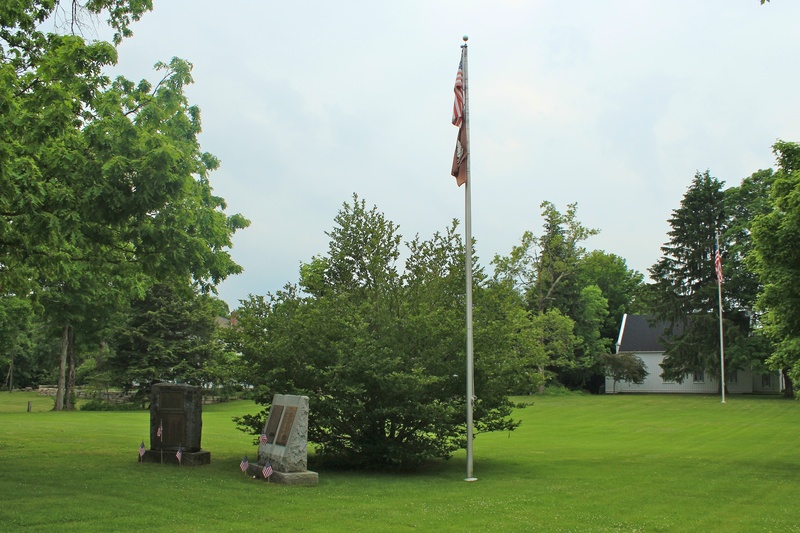 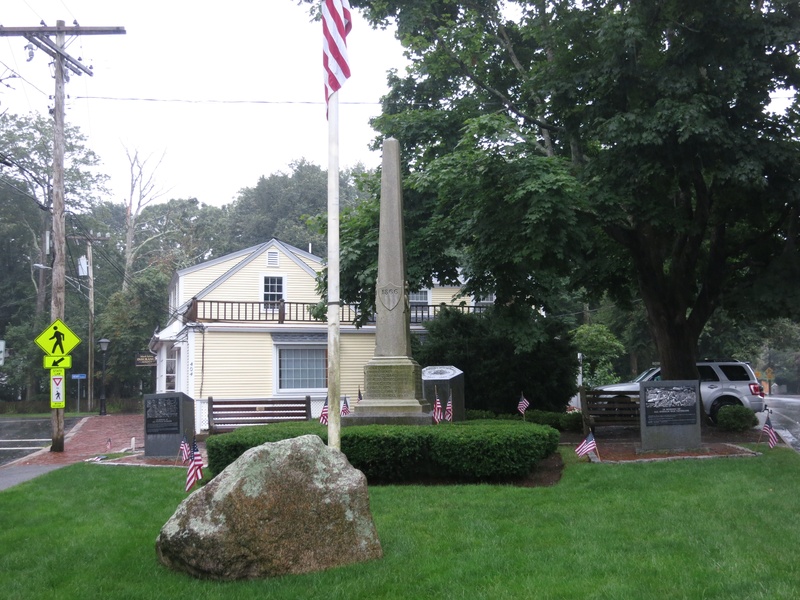 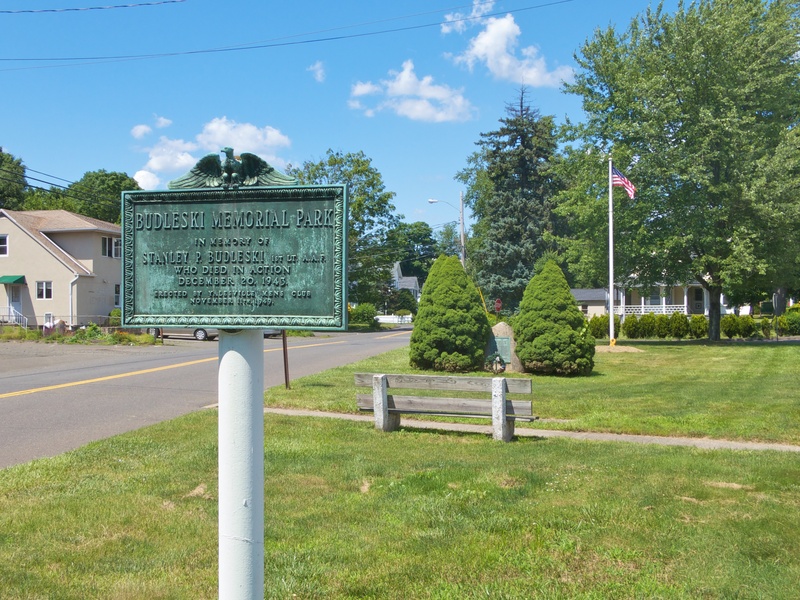 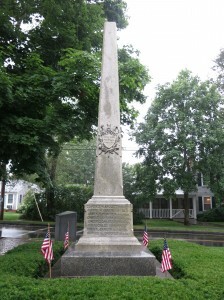 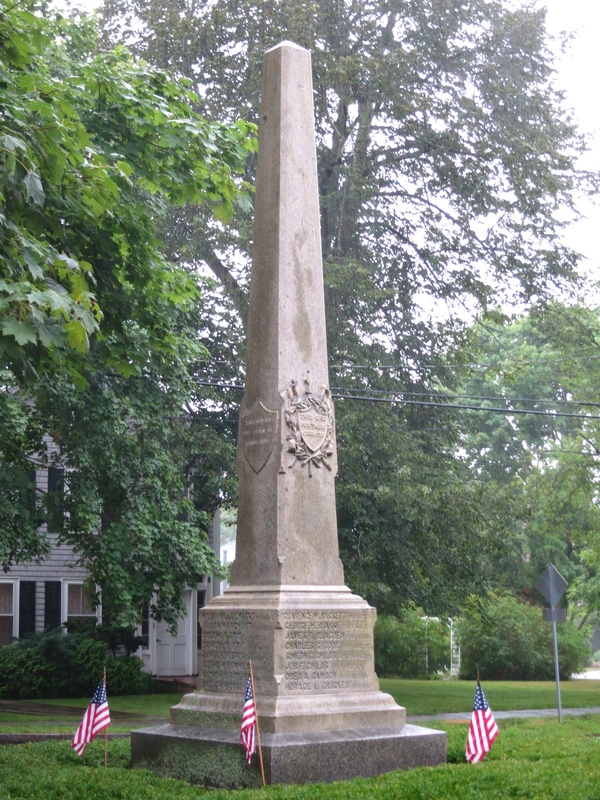 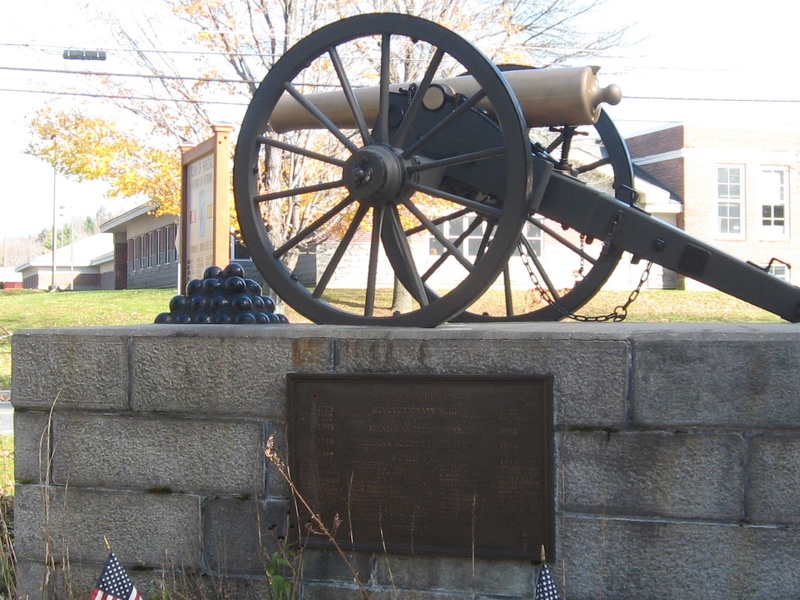 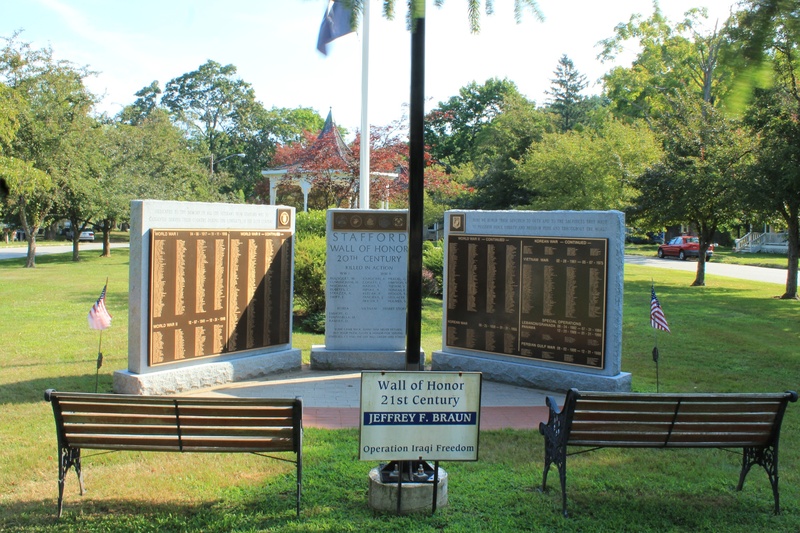 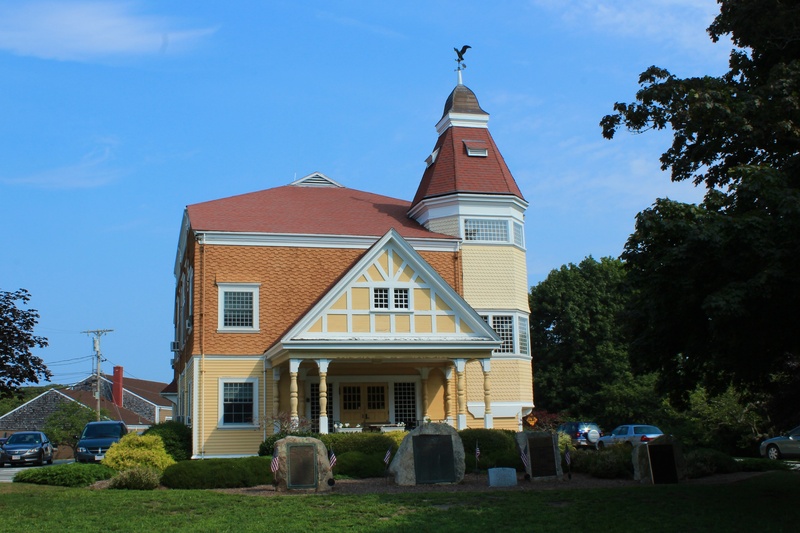 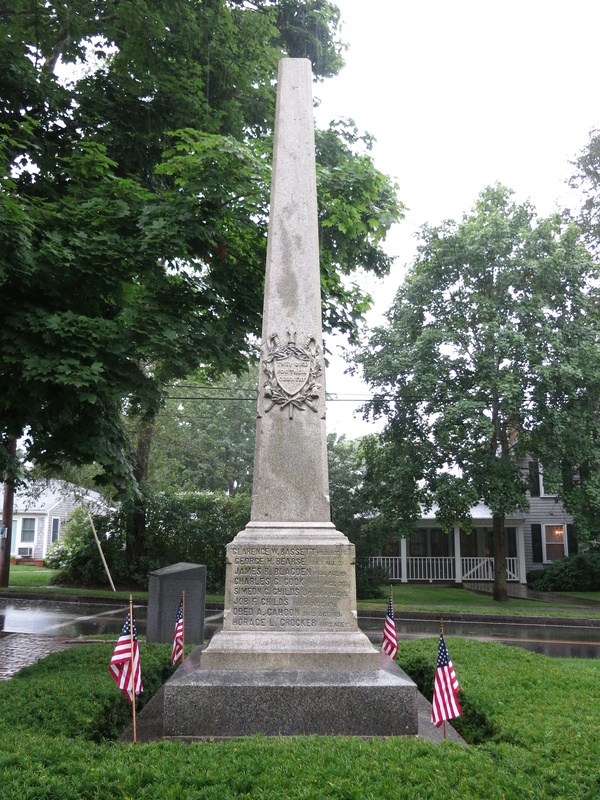 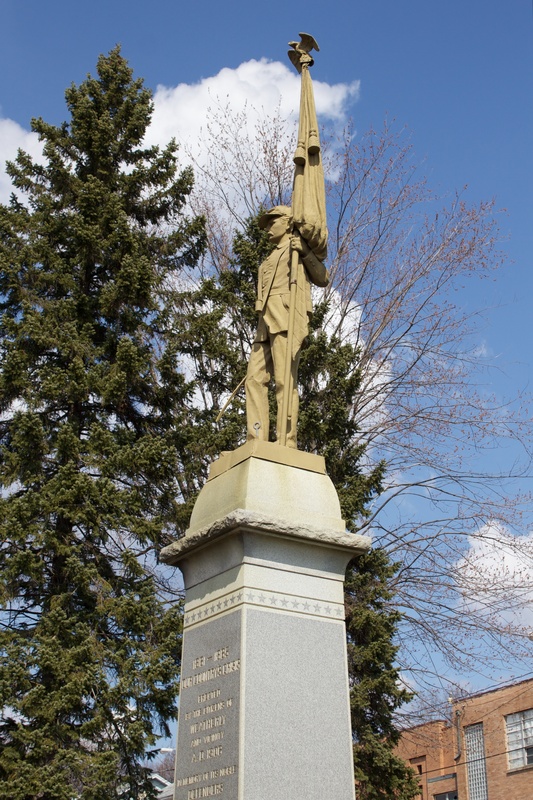 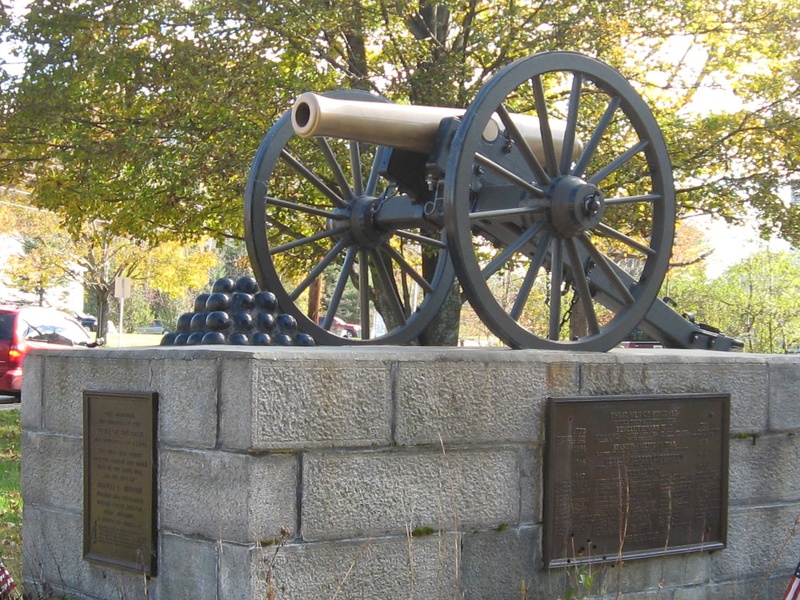 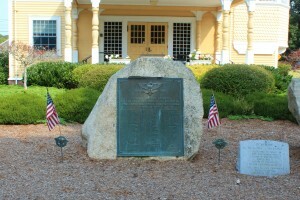 Stratford honors veterans and heroes of the First World War with several monuments. 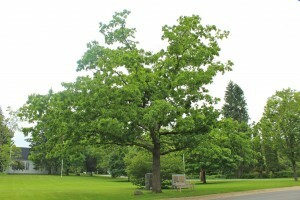 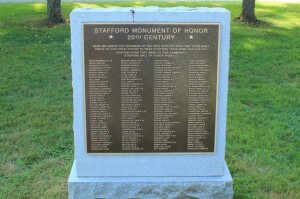 Perhaps the most prominent of Stratford’s World War I monuments is the 1931 War Memorial at the eastern end of the West Broad Street green. 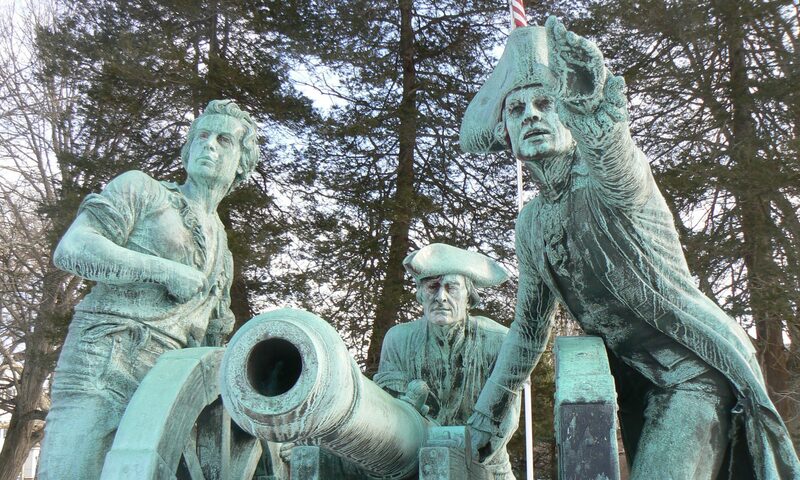 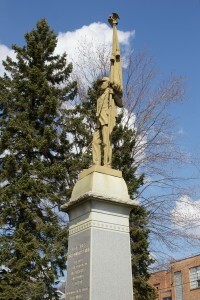 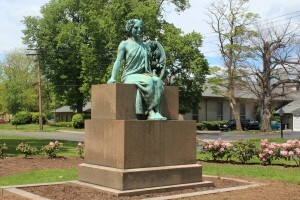 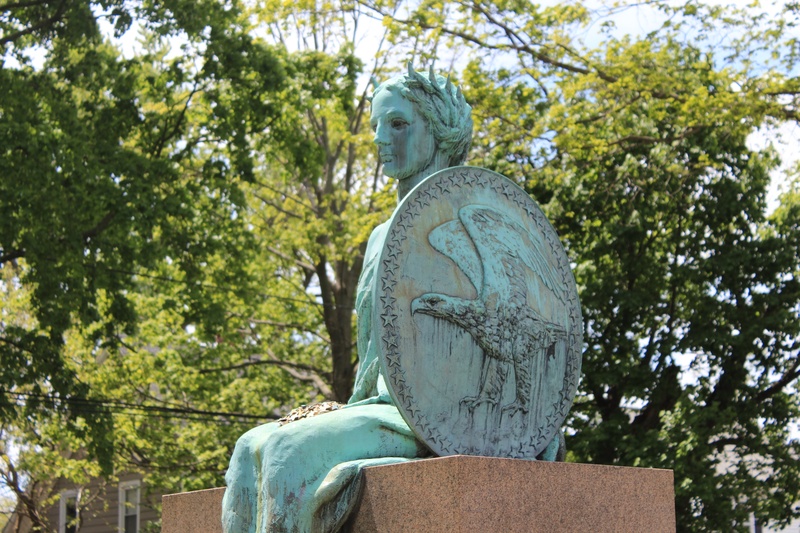 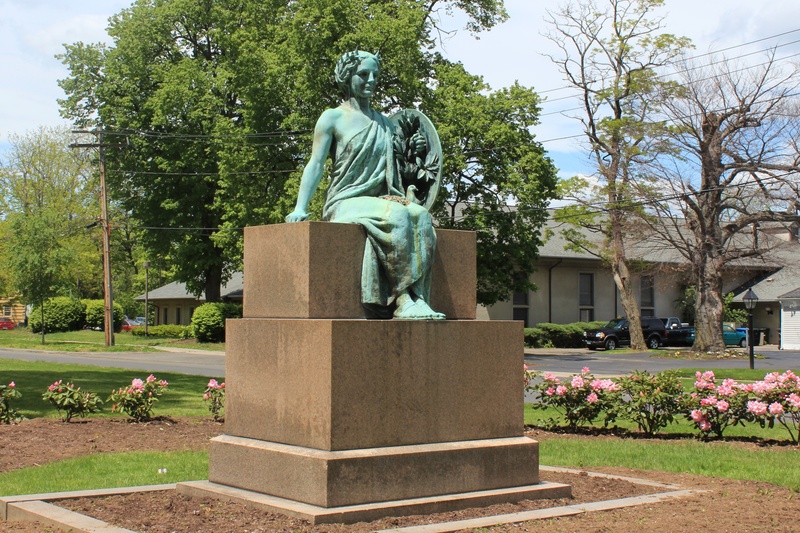 The monument, which we first featured in May of 2009, features an allegorical figure representing peace and patriotism created by Kent sculptor Willard Paddock. 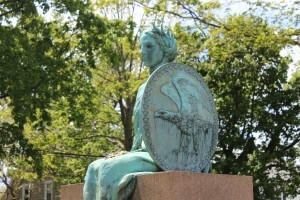 The figure is holding the hilt of a broken sword, as well as a shield decorated with a large eagle that she is using to protect a symbolic peace dove. 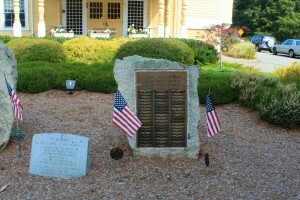 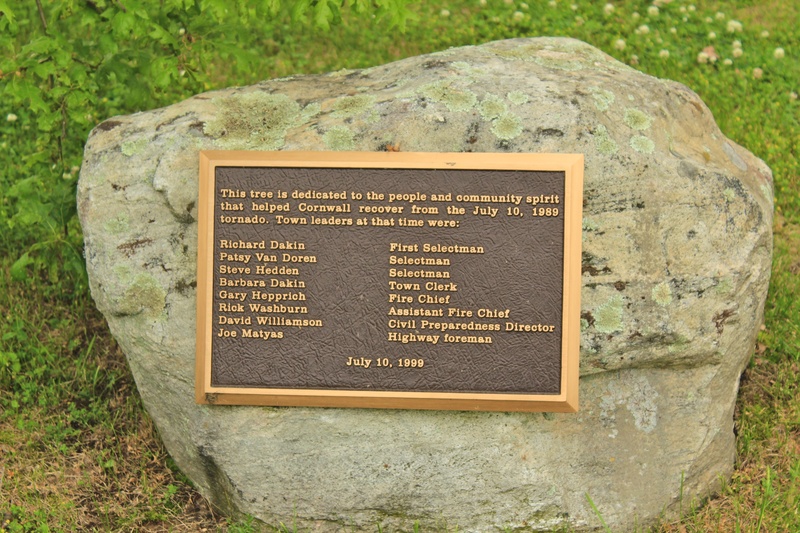 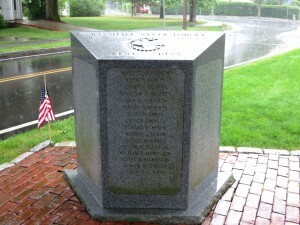 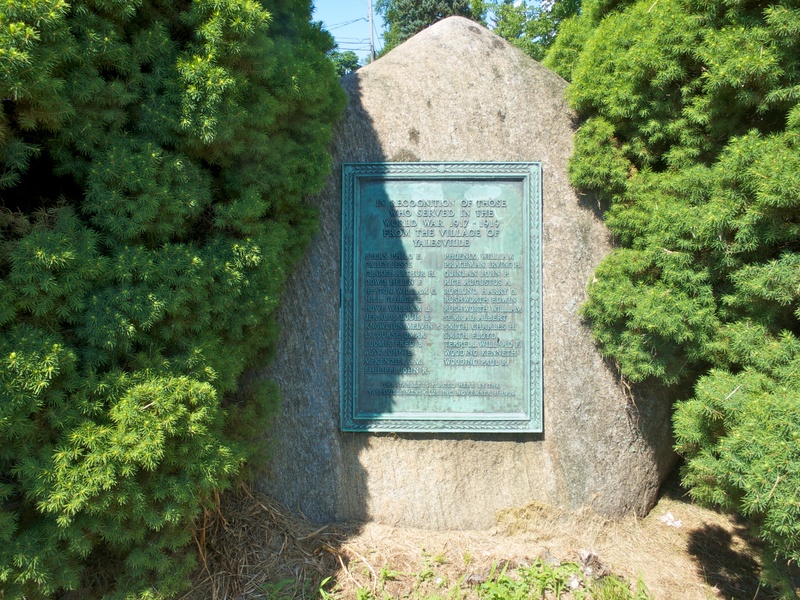 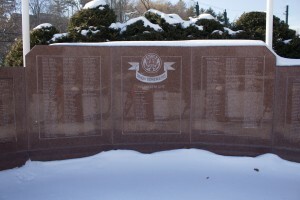 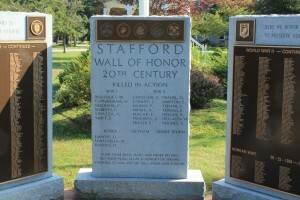 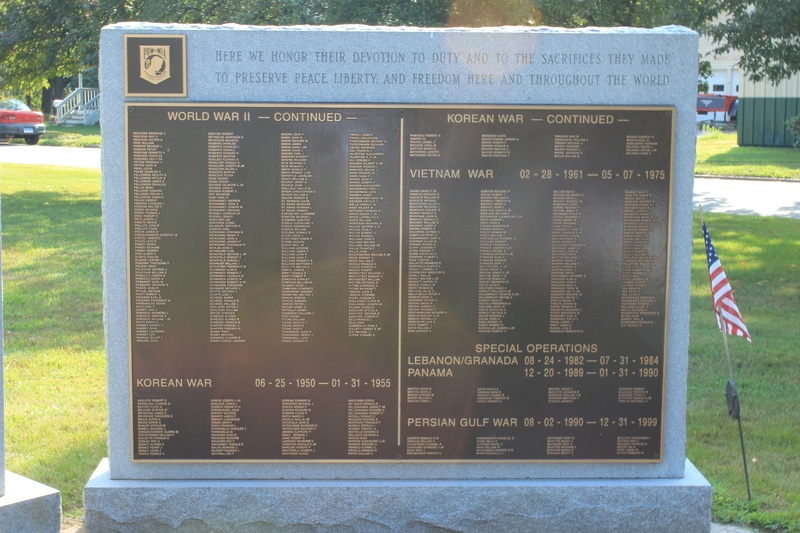 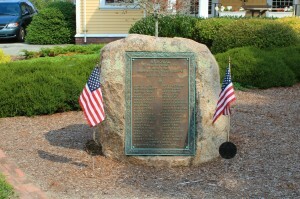 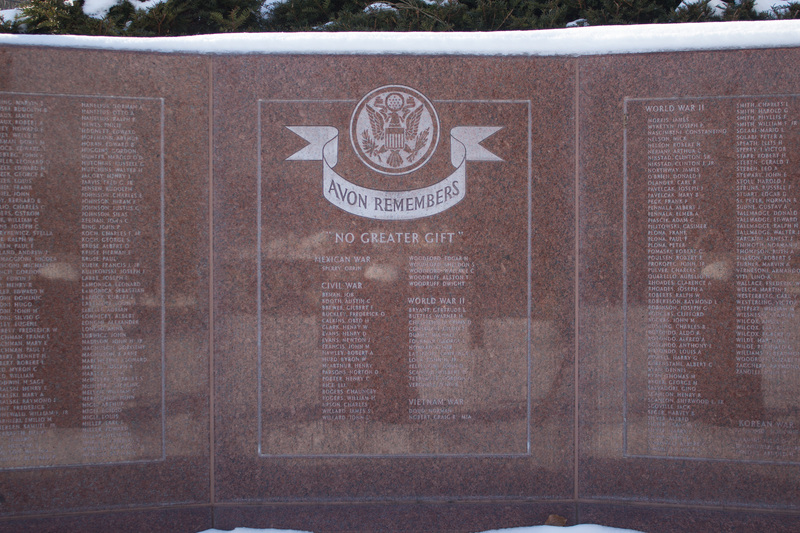 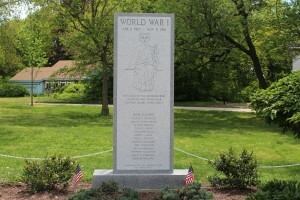 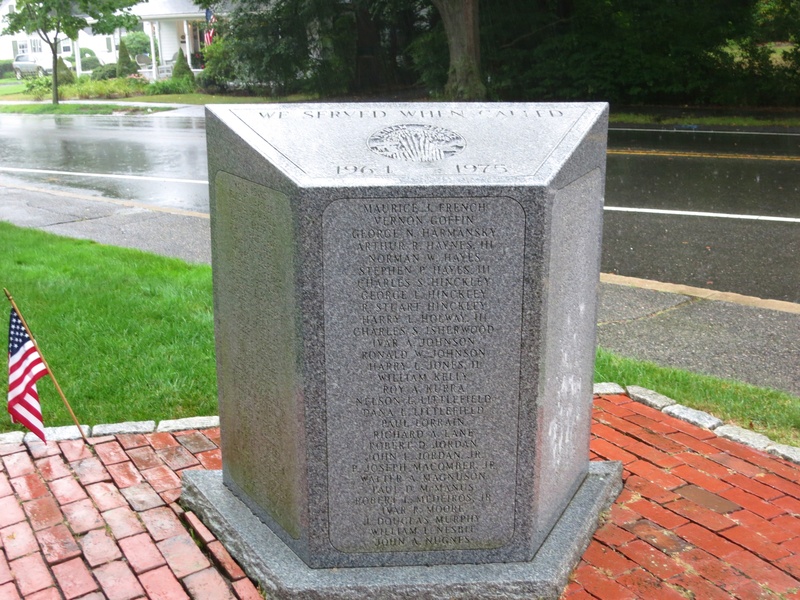 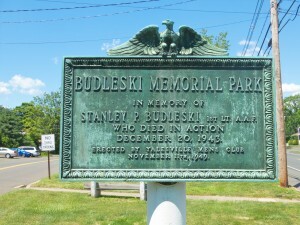 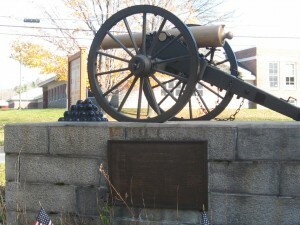 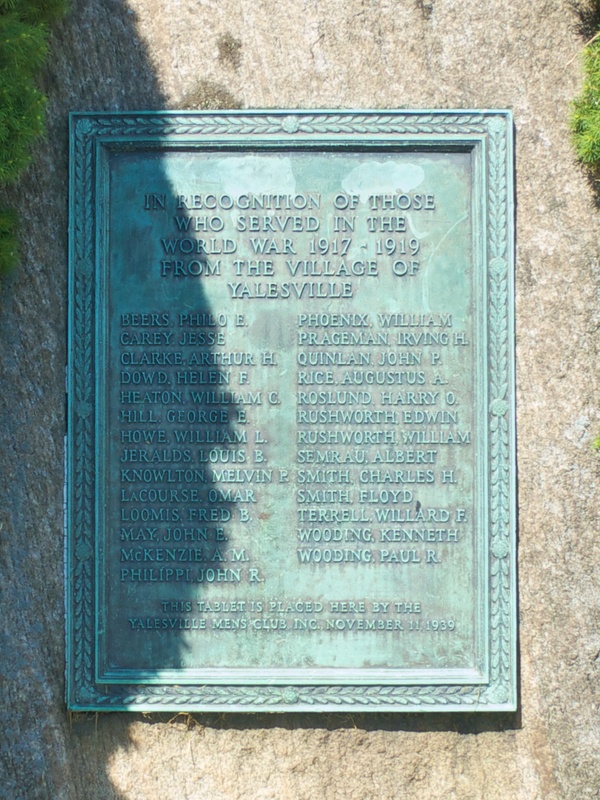 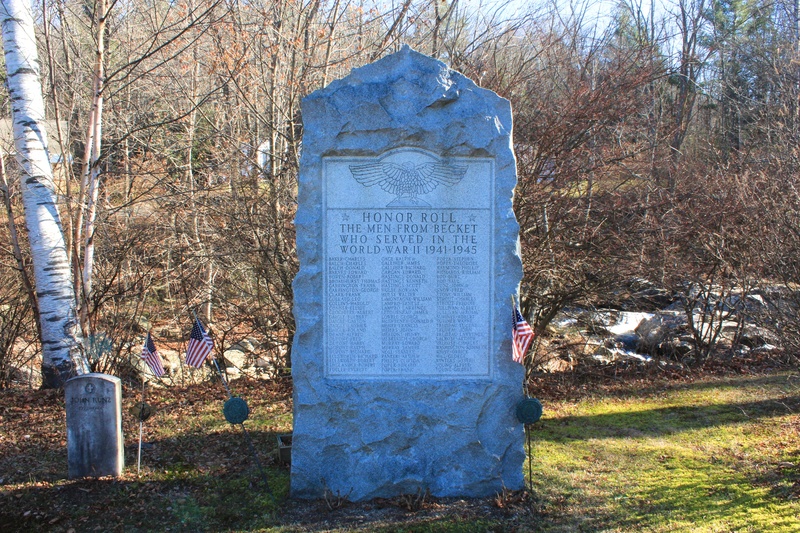 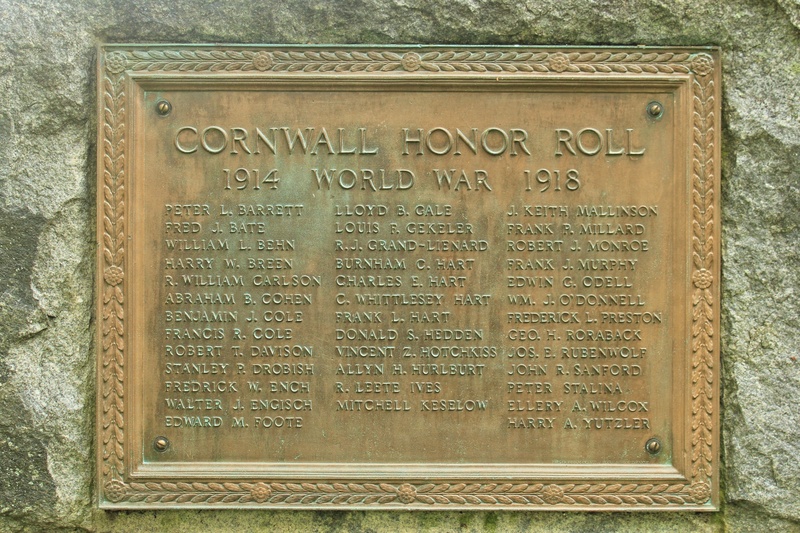 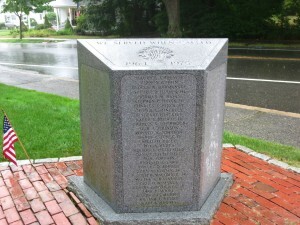 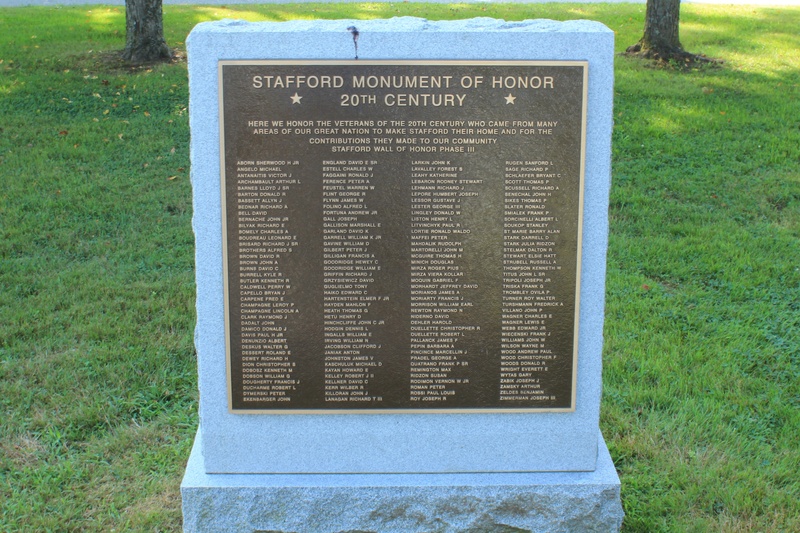 A short distance to the southeast of the War Memorial, the names of 13 residents who died during their service in World War I are inscribed on a monument within Stratford’s 2005 Walk of Honor. 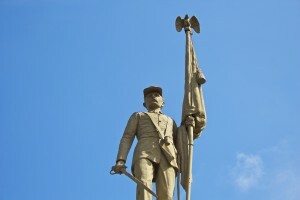 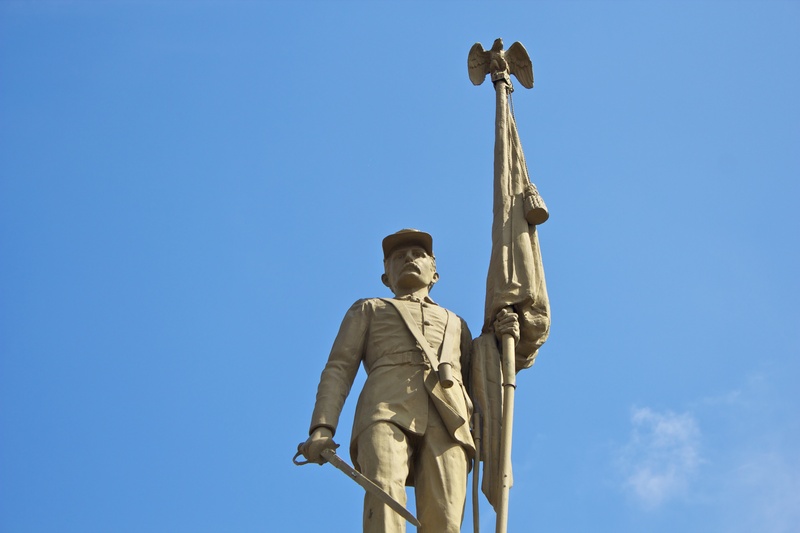 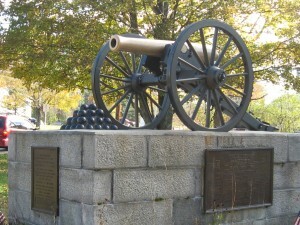 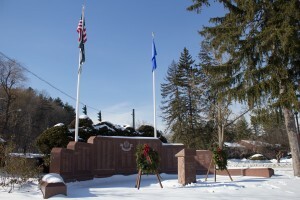 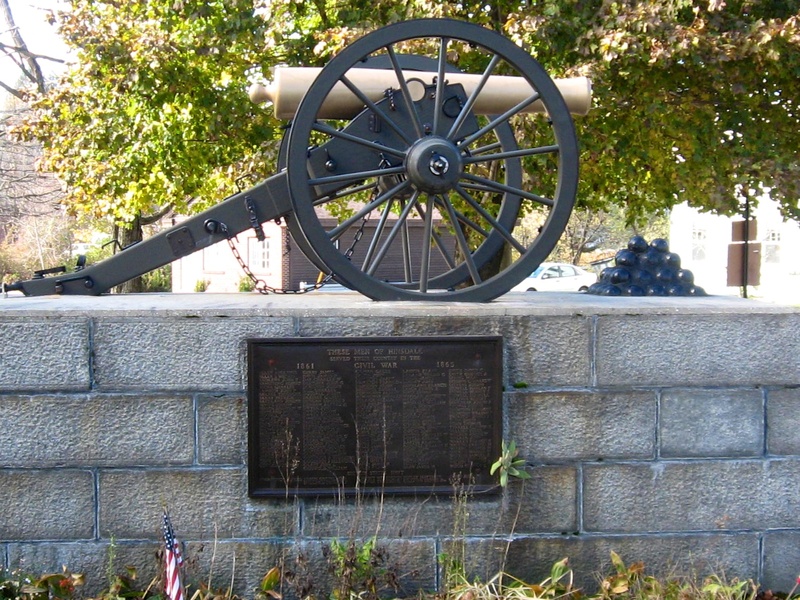 The Walk of Honor is a collection of veterans memorials installed at the base of the town’s 1889 Civil War Monument on Academy Hill. 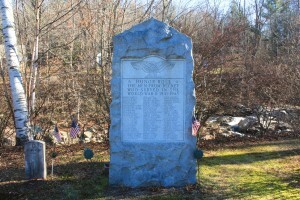 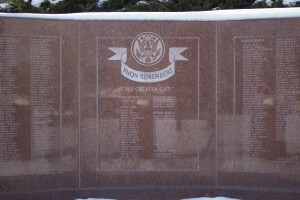 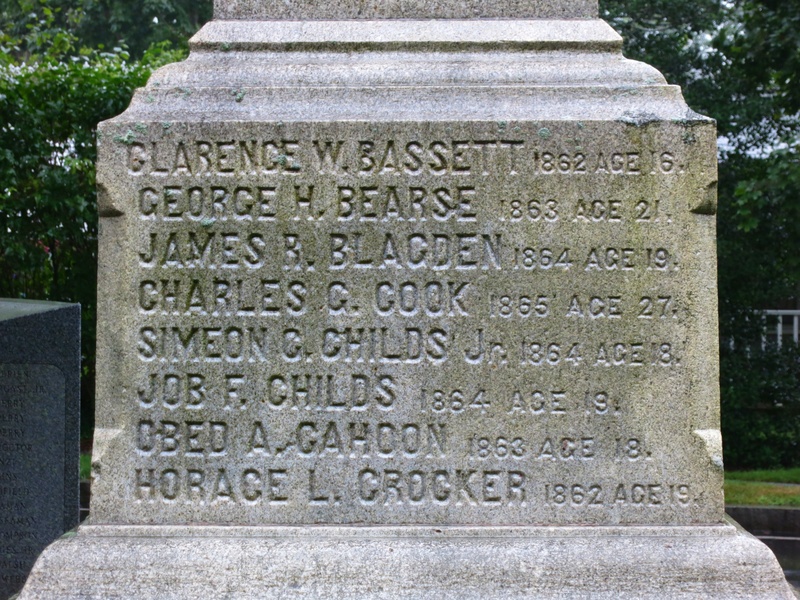 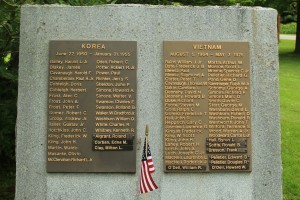 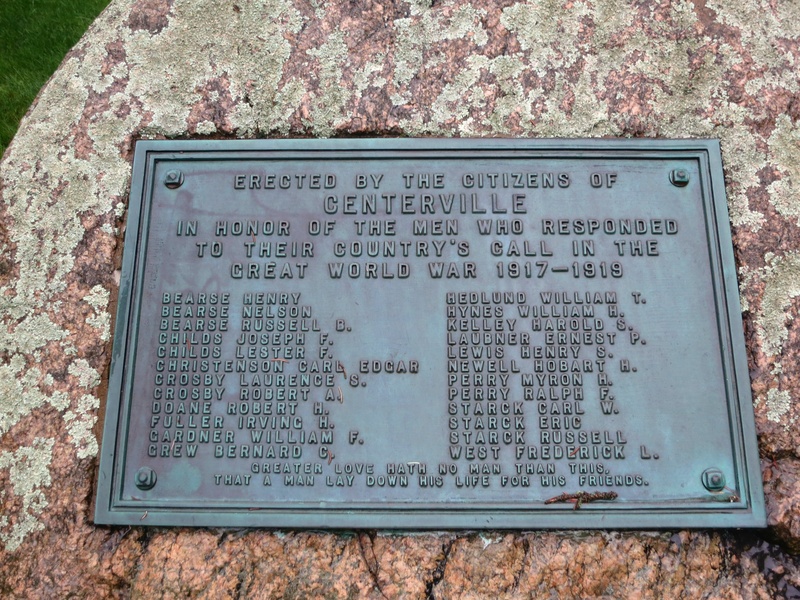 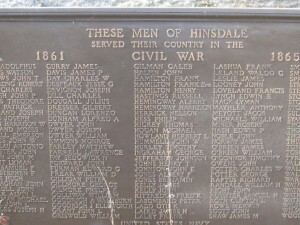 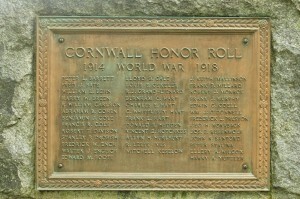 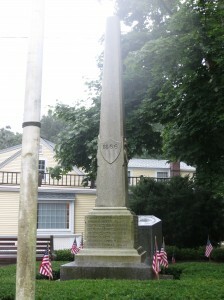 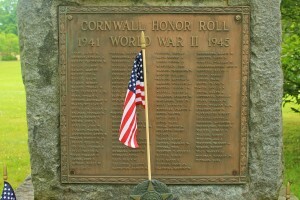 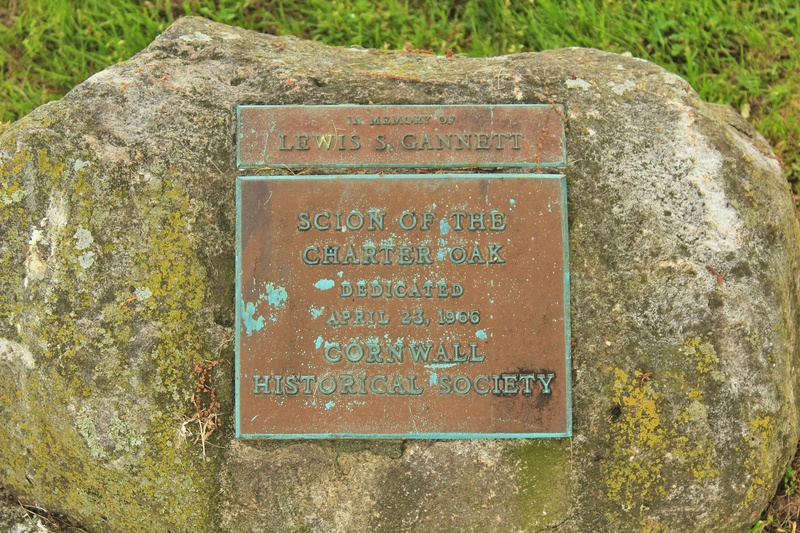 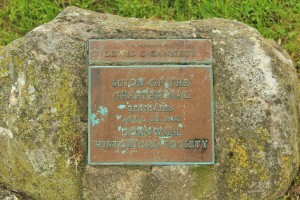 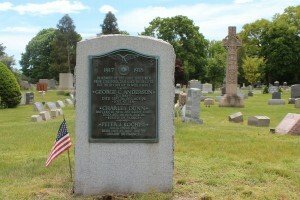 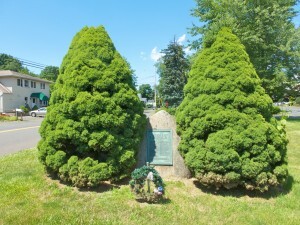 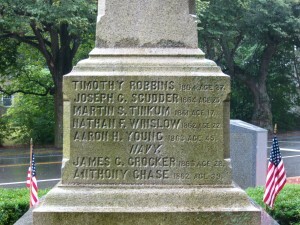 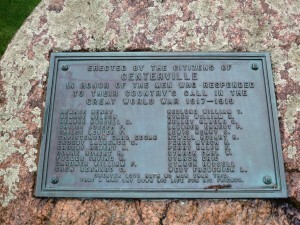 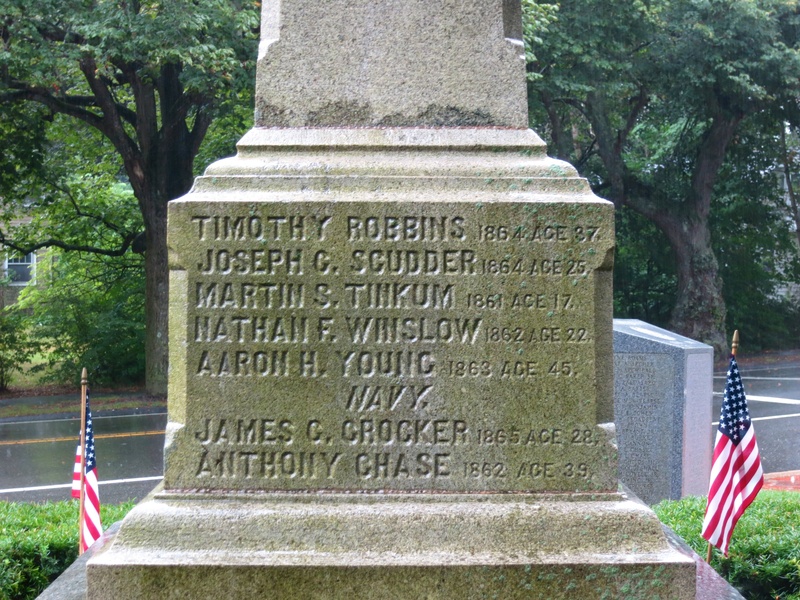 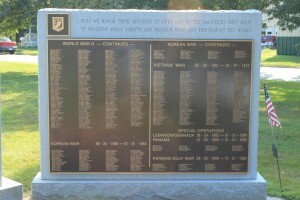 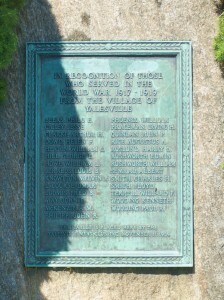 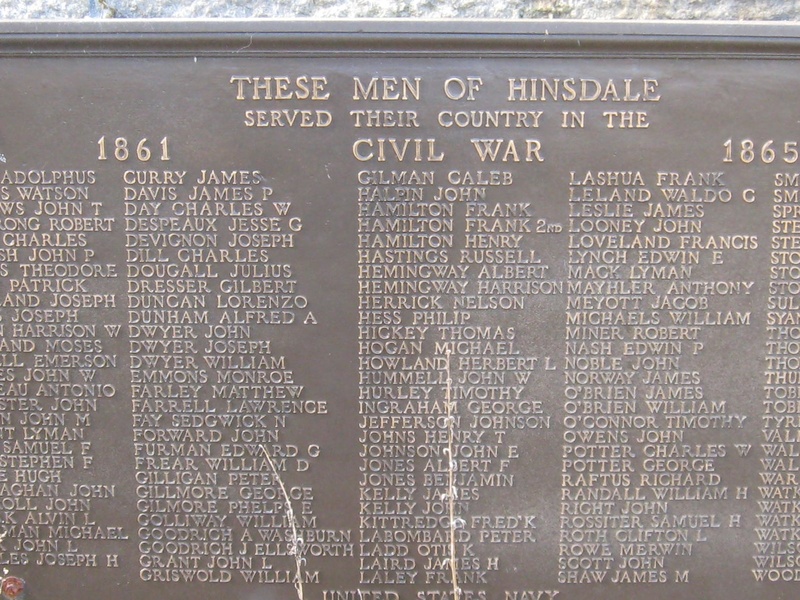 The monument then lists 13 residents who died during their World War I service. 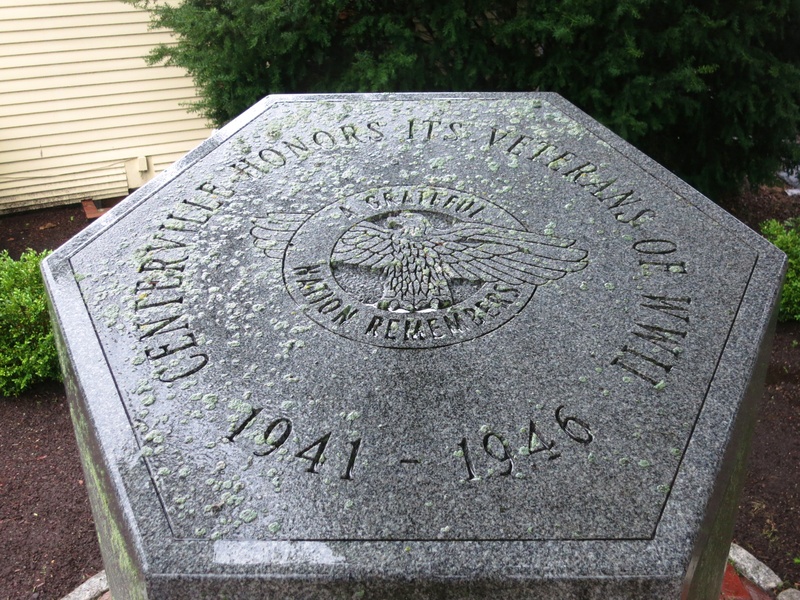 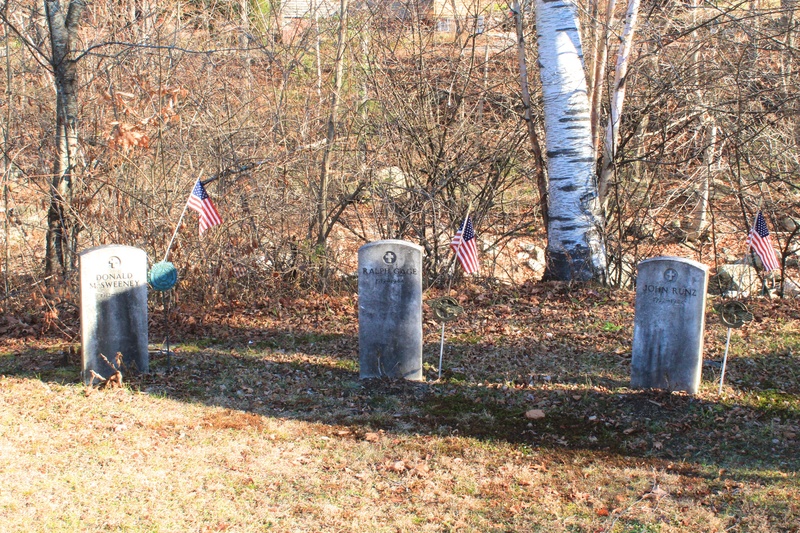 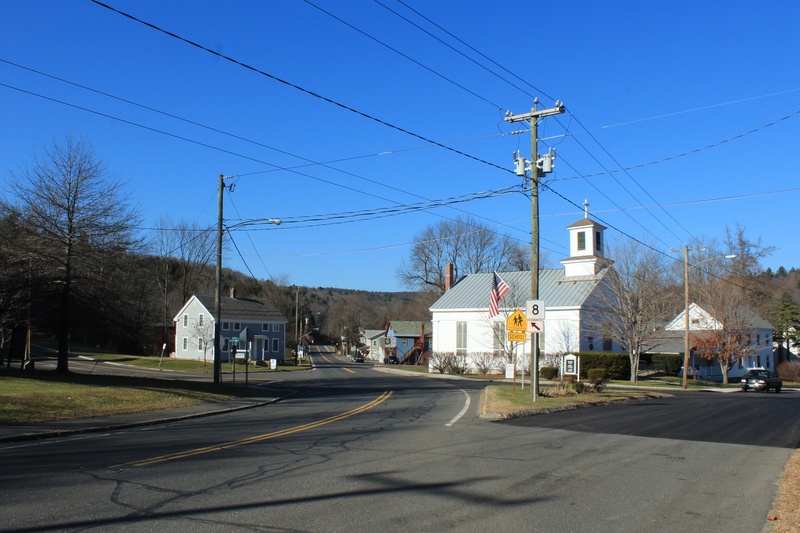 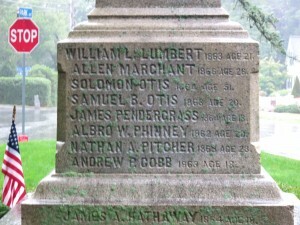 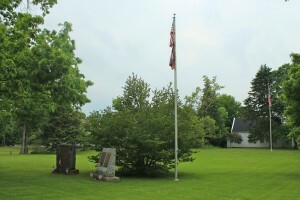 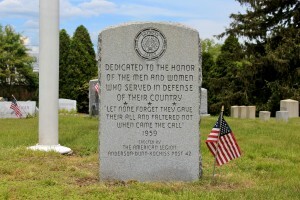 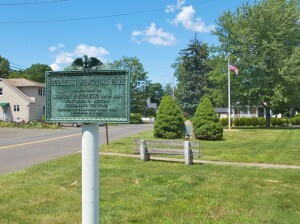 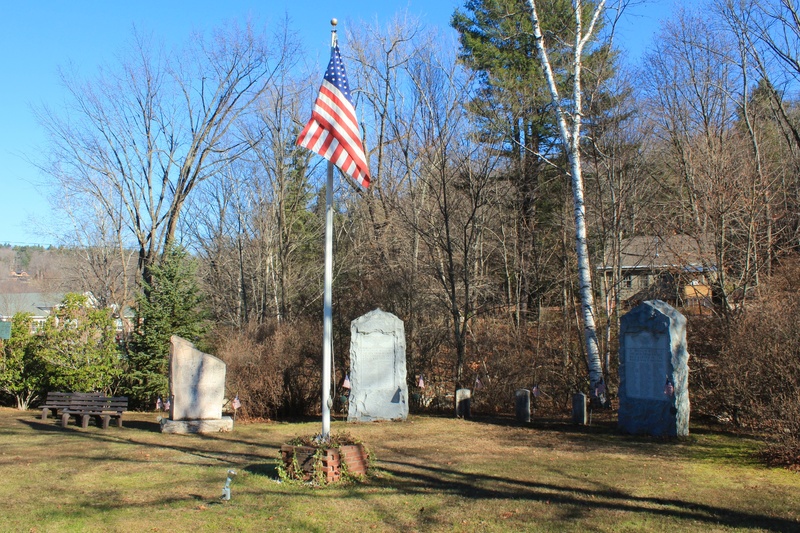 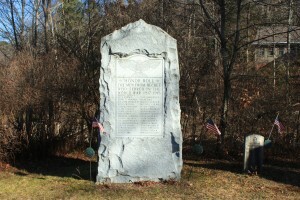 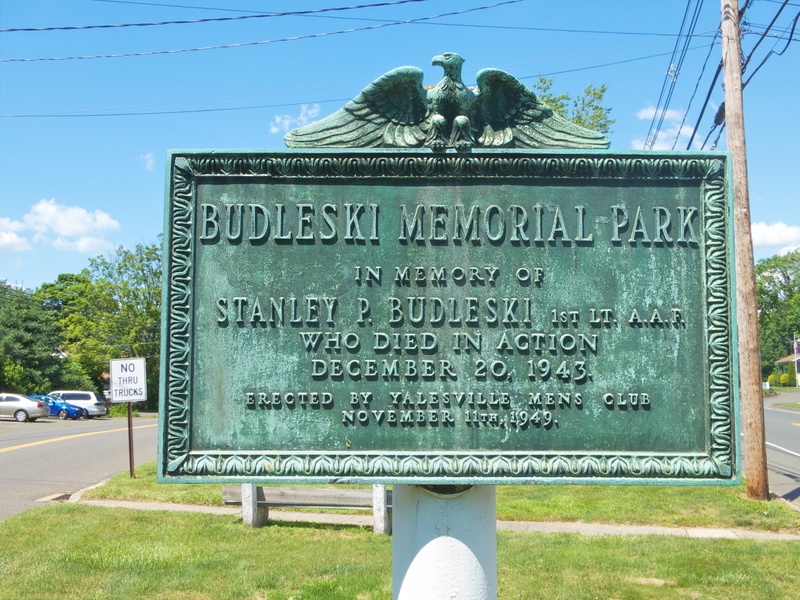 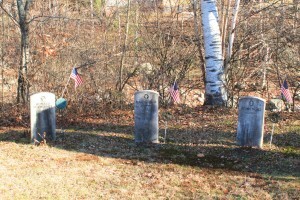 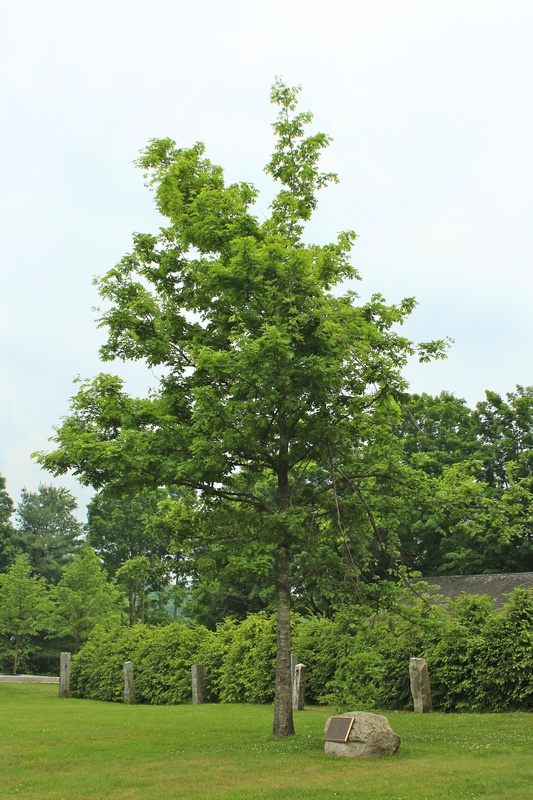 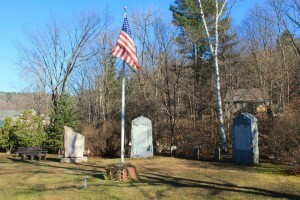 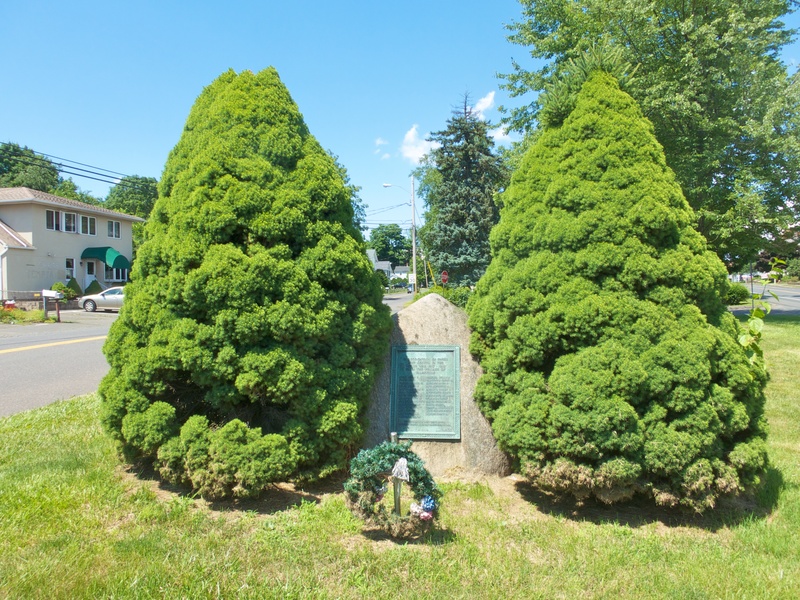 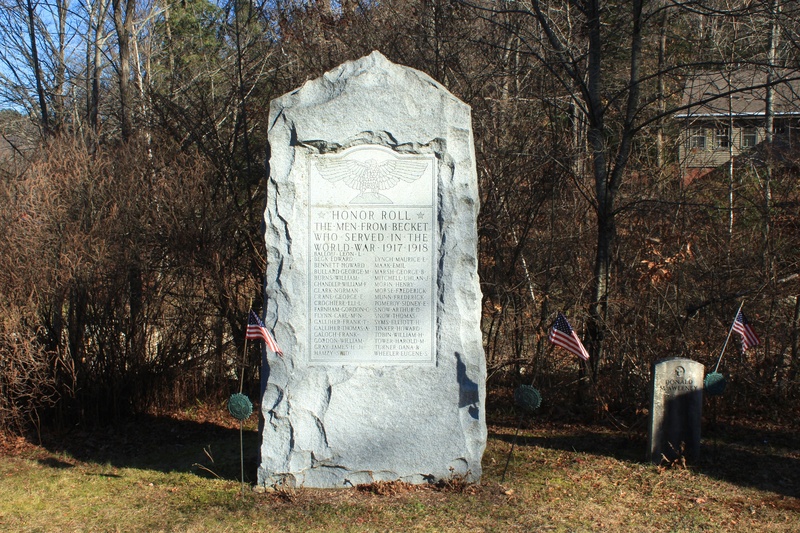 A memorial in Stratford’s Union Cemetery honors three residents who were killed in the war, and for whom the local American Legion post was named. 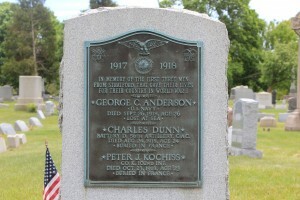 One of the fallen residents was lost at sea while serving in the Navy, and two were buried in France.